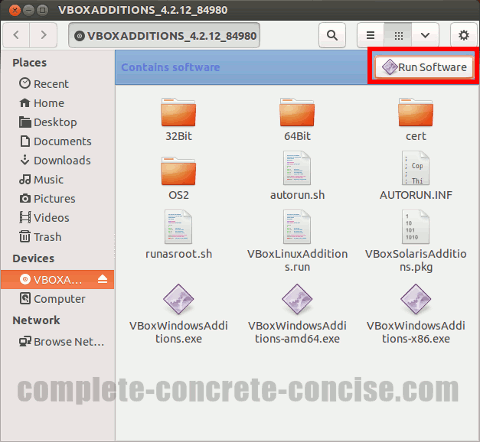 These instructions are for Ubuntu 13.04 using the Unity Desktop, running under VirtualBox 4.2.12. They may be the same or similar for other version combinations, but I make no guarantee. Sometimes, after installing updates, the VirtualBox Guest Additions stop working. To get them working again, it is necessary to reinstall them. Note: tapping the Windows keys means pressing it as though you intend to type it. It does not mean holding down the key (holding down the key does something else). 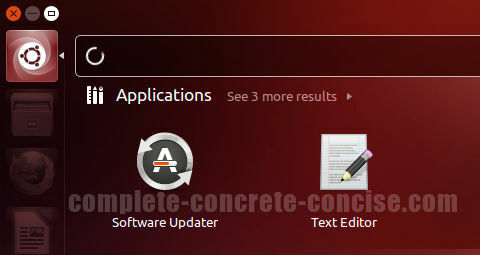 Note: pressing the Enter key will select the first Dash entry. 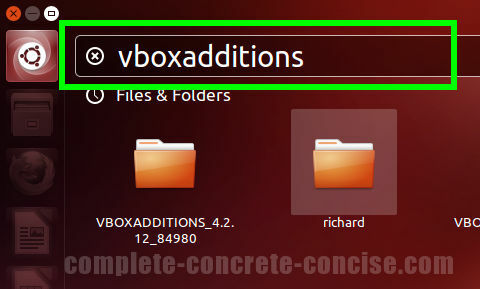 If VBOXADDITIONS is not the first entry, then use the keyboard arrow keys or mouse to navigate to the appropriate icon. If pressing Enter does not open the VirtualBox Guest Additions folder, then click on the VBOXADDITIONS icon. This will then uninstall and then reinstall the VirtualBox Guest Additions. After rebooting your machine, everything should be working correctly again.